I reach Pevsner’s Architectural Guide – Liverpool (additional material Joseph Sharples) by a somewhat winding route: I take the Merseyrail train to Liverpool; my normal route is changed and I must walk across the city; it turns out the buildings are spectacular; I take photos and then I want to know what I have photoed. This is where the Pevsner Guide enters the picture. Sir Nickolaus Pevsner was a German born art historian who moved to the UK in 1933, he felt that the academic study of architecture in Britain was lacking, and furthermore there were was no convenient source of information on the many and wondrous buildings of the country. In 1945 he proposed a series of books: Buildings of England to address this lack. The series ultimately ran to 46 volumes, 32 written by Pevsner, a further 10 which he co-authored and 4 written by others. This Guide – Liverpool is a city specific reworking of the original guides. The book is large-pocket sized, well produced with a fair number of images. 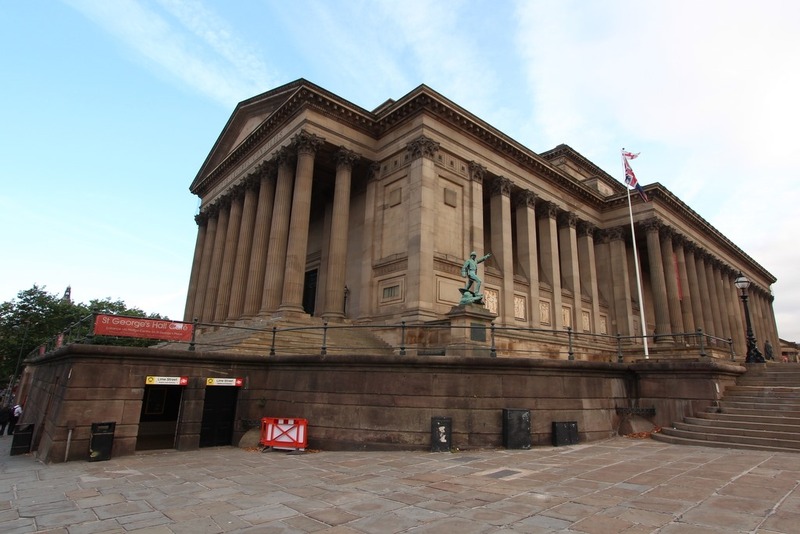 It starts with an overview of the history of Liverpool. I have to admit, shame-faced, that I was woefully ignorant of the city I now work in. For nearly 10 years I have lived just down the line in Chester, and yet I had visited Liverpool a handful of times, in the evening for works dinners. My perceptions of Liverpool are coloured by the time I grew up, in the 1980s, when Liverpool was host to riots in the Toxteth area of the city, mass unemployment and far-left politics. Walking around now what I see is completely at odds with my perceptions, you can see in my earlier post. 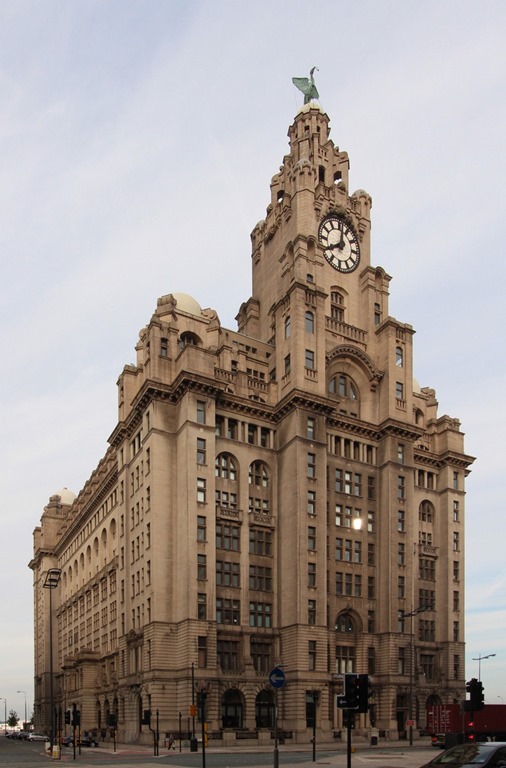 To add some decoration to this post, below is the Royal Liver Building, one of the Three Graces, built on the waterfront at the beginning of the 20th century. Liverpool has long been Britain’s second port and probably has a strong claim for second city status (both following London). Initially it grew through exporting Cheshire salt, than as part of the triangle route carrying slaves, then as a point of exit for Britain’s manufactured goods and finally as a passenger terminus. Liverpool is not blessed with the best of conditions for shipping, this meant it was an early pioneer of gated docks. This was significant engineering work, only possible through the collective action of the city Corporation. It’s worth noting that one of the first railways in Britain was between Liverpool and Manchester, providing a link between the manufacturing centre and the port. Liverpool remained preeminent until the sixties when British manufacturing declined, and shipping became containerized, much reducing the labour required. It had no “second fiddle” so with the loss of shipping it went into rapid decline. Nowadays Liverpool is making a resurgence, the fine buildings from its early high water mark are joined by some excellent new ones. After a historical overview the Guide covers six major buildings / areas of the city: the Town Hall (dating to mid 18th century and the oldest major building in the city), St George’s Hall and the Plateau (up by Liverpool Lime Street Station); the William Brown Street Group and St. John’s Gardens; Pier Head where the outstanding Three Graces are to be found and finally the two cathedrals (Anglican and Catholic) both built in the 20th century. The majority of the buildings date from the latter half of the 19th century and early 20th century, the burgeoning wealth of the city having little time for preserving the relatively meagre past. The city suffered significant bombing during the Second World War, as a result of its importance as a port. After the major buildings the remainder of the the Guide is broken down into a set of 10 walks around the central area of the city, spanning a few miles with an interlude covering the city centre. 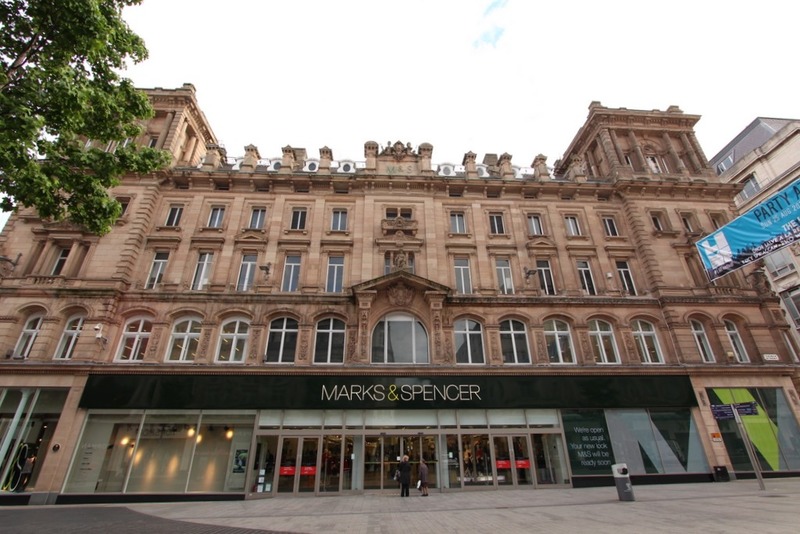 I’d spotted the grand building of the Marks & Spencer store in the centre of town on my previous perambulations, it is in fact Compton House (see below) built as one of the earliest department stores in 1867. As a bonus the book finishes with three short pieces from areas outside the city: Speke Hall, Port Sunlight and Hamilton Square. The Pevsner Guides are not really designed to be read sitting on the train, as I did, they are to be held as you walk around with a map. Despite the relatively large number of photos it doesn’t feel like enough, I was frustrated by reading the words but not being able to see the buildings. I think a few more walks with the camera are in order. It feels like an excellent opportunity for a smartphone app. The current publishers seem a bit bewildered by this newfangled app world and have produced a digital companion in the form of a glossary of architectural terms. 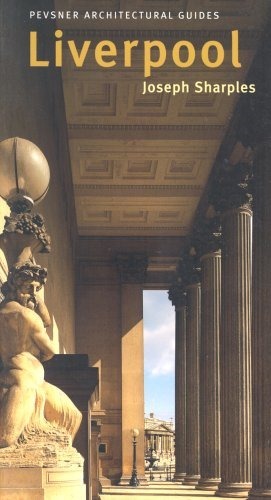 Elsewhere someone is selling a database of all of the Pevsner entries, the Guide is a database rendered in prose form. It seems the components are there for a Pevsner App, who is with me in making it happen? Here‘s a Google Map of the Major Buildings from the Guide.